'Black 13' (above) has been identified as Walter Dahl's aircraft by many authors. In my 2001 'Sturmgruppen 1944' article (SAM, March 2001) I suggested that it was more likely that this machine was the Sturmbock assigned to the Staffelkapitän of 11. 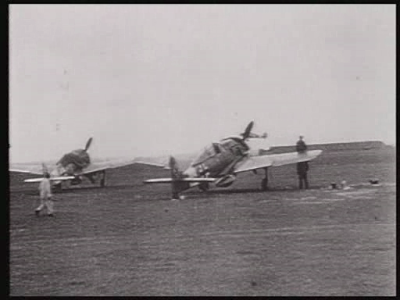 Staffel JG 3 Werner Gerth, who also featured in the Oschersleben newsreel footage. In late April 1944, IV./JG 3 converted from the Bf-109 to the Fw-190 to expand upon the successes achieved by von Kornatzki’s Sturmstaffel 1 and assume the role of the first Sturmgruppe in the Luftwaffe. Over the months prior to being designated as the first of the specialised Sturmgruppen, IV./JG 3 had already posted an impressive combat performance in the defence of the Reich. 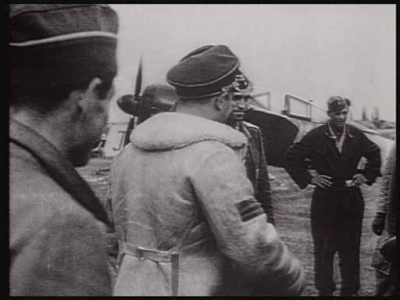 Based at Salzwedel alongside the Sturmstaffel, its pilot roster included eager young Jagdflieger such as Hans Weik, Willi Unger and Hans Iffland. 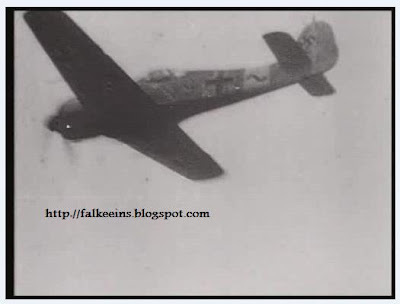 Between February and April 1944, Weik, flying his usual Bf 109 G-6 'White 7' as Staffelkapitän 10./JG 3, had shot down some 23 Viermots. Willi Unger did not make his first combat flight until late March 1944 but during April shot down eight heavy bombers. Hans Iffland had some sixteen heavy bomber 'kills' during this period, including one of the 13 heavy bombers claimed by the unit on the 6 March Berlin raid, one of the costliest ever mounted by the 8th USAAF. 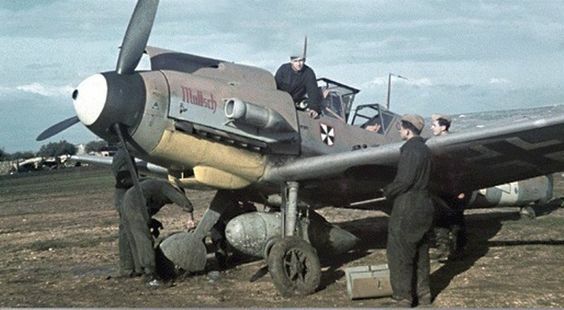 During May 1944 these pilots converted on to the heavily armed and armoured bomber destroyer variant of the Fw-190A-8/R2 specifically produced for the role. Many of the surviving pilots from Sturmstaffel 1 were incorporated into IV./JG 3 as 11. Staffel. In late May 1944, all 68 pilots of the unit were assembled to hear the Gruppenkommandeur, Hauptman Wilhelm Moritz read out the Sturmgruppe Oath: “We swear to fight in defense of the Reich true to the principles and rules of engagement of the Sturmgruppe. We know that, as pilots of the Sturmgruppe, we are called upon in a special way to protect and defend to the utmost of our ability the population of our homeland. We undertake that, on every mission resulting in contact with four-engine bombers, we shall press home the attack to the shortest range and - if unsuccessful in shooting down the enemy by gunfire - we will destroy him by ramming.” This oath was largely superfluous since the Fw 190's 30mm cannon could bring down a bomber with only a handful of shells at close enough range. IV/JG 3's first successful mission in its new role came on 7 July 1944, when 1,100 8th US Air Force heavy bombers escorted by 750 fighters were dispatched to bomb aircraft factories in the Leipzig area and the synthetic oil plants at Boehlen, Leuna-Merseburg and Lutzgendorf. Escorted by two Bf-109 Gruppen from JG 300, IV. (Sturm)/JG3 operating in concert with the Fw 190s of II./JG300 led by their Kommodore JG 300 Walther Dahl- attacked a formation of 492nd BG B-24s that were caught without fighter cover in the vicinity of Oschersleben. Altogether that day more than twenty five B-24s were shot down, including 12 of 18 launched by the 492nd Bomb Group. Although losses sustained by the defenders were not exactly negligeable, the sortie was judged a success. As a result, II/JG 300 was immediately ordered to convert to the Sturmgruppe role, while Major Kornatzki was instructed to set up a third Sturmgruppe, II. (Sturm)/JG 4. The success of the Sturmgruppe IV./JG 3 and II./JG 300 in downing a squadron of heavy bombers over Oschersleben on 7 July 1944 was widely reported in the German media with radio, press and cinema newsreel coverage. 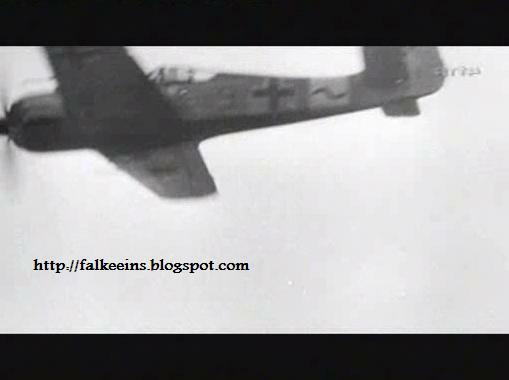 Some screenshots of the newsreel footage depicting the Focke Wulf 190 Sturmböcke of IV./JG 3 performing a flypast at Illesheim are presented here. In the air the only identifiable aircraft is 'Black 9'. Note the JG 3 'winged U' emblem under the cockpit on this machine and not on the engine cowl. The canopy 'Scheuklappen' or 'blinkers' are clearly visible as is the IV. Gruppe wavy line on the white rear fuselage band..